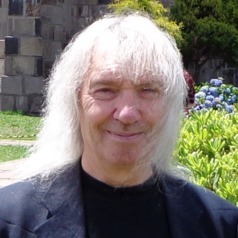 Professor S. Barry Cooper is a mathematician at the University of Leeds. He chaired the Turing Centenary Advisory Committee which co-ordinated the Alan Turing Year. He can be followed on Twitter at @SBarryCooper and Alan Turing Year at @AlanTuringYear. Any reader enthused to engage further with Alan Turing's mathematics, and its overarching relevance to the modern world, should go straight to his book Alan Turing His Work and Impact, published by Elsevier.